In 2003 a trial of three Mercedes-Benz Citaro buses with Fuel Cell Technology were introduce alongside existing Citaros on the same route. The Fuel Cell Citaro buses were only put to use during the mornings to early afternoons; this was due to a limit size of fuel capacity. The trial ended in January 2007 and therefore resulted in the three Fuel Cell buses being withdrawn. 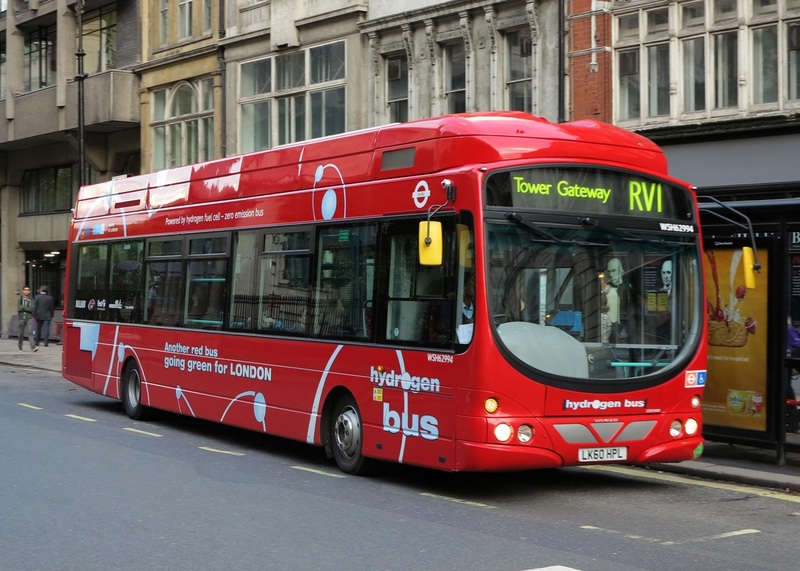 However, in late 2010 a small batch of Wrightbus Pulsar with the latest Hydrogen Power Technology Engines were introduced once again on Route RV1. These buses operate in conjunction with conventional diesel powered buses.